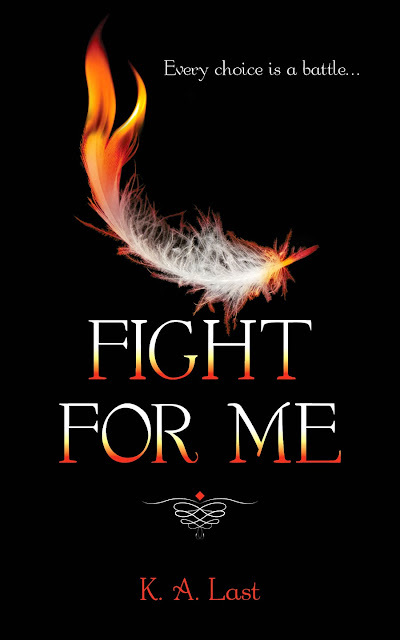 If you have been following me on social media and my blog, you will know that my next book, Fight For Me, has been a long time coming. Too long for my liking, but the good news is, it’s finally close. This book has put me through my paces, tested my patience and mental stability, and made me bleed with not only hatred for it (sometimes) but also immense passion (all the time). It’s been a long and hard journey, one I wouldn’t change because I have learnt so much. One vital lesson it taught me was how to fall in love with my characters and their story all over again. Ryan moved into the bedroom, keeping an eye on all of us. He had a stake ready in his hand. The girl vamp turned towards Ryan and licked her lips. I misted and landed in front of Ryan, taking a stake from my belt and driving it into the vamp’s chest as she approached. Dust fell to the carpet in a heap. “I did warn her.” I sighed. The guy vamp stuttered and put his hands up, which only made Archer tighten his hold again. I went to the window and grasped the curtain. “We can do this the easy way if you like. But I have more fun with the hard way.” I moved the curtains slightly and muted sunlight filtered through the crack in the middle. “No, please. I’ll tell you,” the vamp said. “Who?” I asked, twirling my stake between my fingers. “You probably don’t know them,” the vamp said. “You’d be surprised what I know.” I glared at him. “Do I need to convince you some more?” I ran the point of the stake down his cheek. “And why are you watching them?” Archer clenched his fists at his sides. Good work at being intimidating, I teased him. You’re the one who ran a stake down his face. “Lucas?” Archer glanced at me over his shoulder. Charlotte had told me Lucas was her creator, and he’d seduced her before he turned her. It was all lies. She’d asked him to turn her, but I didn’t understand why. “Great, here we go again.” Ryan ran a hand over his face and sighed. Charlotte had been an angel, and why she wanted to become a vampire was beyond my comprehension. I understood the fallen and the many reasons why an angel would choose to fall. But to become a monster … I couldn’t trust that what she’d shown me in the clearing after Seth had been taken was the truth. When it came to Charlotte, I had no idea what the truth was, or if her name and the word should be put into a sentence together. “Didn’t Lucas send that trio of vamps after Charlotte? Wasn’t that why she came to you in the first place?” Ryan asked. “I’m guessing you want to be on her side,” the vamp said, pointing to me. “Now you know how I feel,” the vamp said. “Shut up!” Archer and I said at the same time. “Someone has to look out for you thrill seekers.” Ryan smiled. Archer laughed and the sound made me smile as well. “You’re all crazy,” the vamp said. This sounds fantastic. Love the cover. IT IS GORGEOUS AND I'M SO EXCITED FOR YOU!!! I so will be needing to read this one after the glorious wonder that was Fall For Me. And as much as I liked FFM's cover...this one is my favourite. ;-) It's so dark and delicious.